Reginald Bloodhound Dakin Plush Dog Applause #24787 8"
Vintage R Dakin Dachshund 1976 puppy dog weiner tan 12 "
Vintage 1986 Dakin Brown Dog Sitting Puppy with Bow and Dakin Plastic Tag 10"
Dakin Hugging Monkeys female has yellow bow Vintage Plush 7"
Have a look around my store for other dakin toys. A Plush. Dated 1980. It is being sold in very good used vintage condition. There are no holes or stains. For Sale. Tush tag attached. 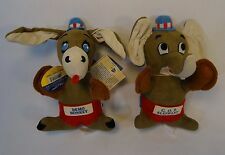 Dakin Nature Babies Elephant Vintage 1971 Plush 8"
Made by Dakin dated 1971. Have a look around my store for more vintage Dakin toys. A Vintage Plush/Shredded Clippings. It is being sold in good used vintage condition. There are no holes or stains. Dakin dated 1981. Dressed as Little Devil. A vintage plush. He measures approx. It is being sold in good used vintage condition. There are no holes or stains. For Sale. Dakin measure approx 9" tall tush tag is attached. Be sure to have a look in my store for more Dakin Toys. Frog that croaks when you move him back and forth. 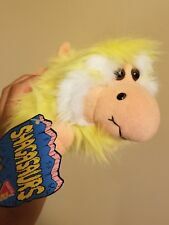 A Vintage Plush. R. Dakin & Company tush tag is attached. A vintage plush. Dated 1976. White Seal made by. Measures approx. It is being sold in very good used vintage condition. There are no holes or stains. Dakin Bear Family Dad Mom Baby Vintage 80's Plush 11"
Have a look around my store for other dakin toys. Dad Bear Measures 11" tall. They all have their tush tags attached. The dad has a blue plastic swing tag attached. Mom Bear measures 10" tall. Measures 4.5" tall tush tag is attached. Made by Dakin dated 1984. Have a look around my store for more vintage Dakin toys. 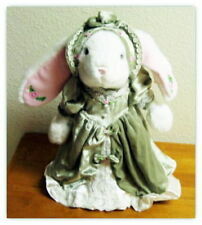 A Small Vintage Plush. It is being sold in very good used vintage condition. Dakin in 1981. He is stuffed with shredded clippings/ground nutshell. 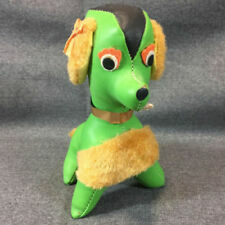 A vintage plush. It is being sold in good used vintage condition. There are no holes or stains. His eyes are in in great shape no paint loss. Have a look around my store for other dakin toys. A Plush. Tush tag is attached. He has his plastic name tag attached under chin. It is being sold in very good used vintage condition. Measures approx. Have a look around my store for other dakin toys. White Seal wearing a grey parka coat( coat can be removed) A Vintage Plush. Dated 1988. It is being sold in very good used condition. Made by Dakin in 1981. For Sale a vintage plush Garfield. He is stuffed with shredded clippings/ground nutshell. There is small scratch to the plastic orange eyelid, not very noticable. Made by Dakin in 1981. 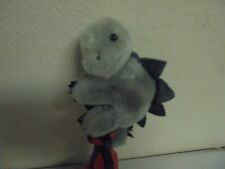 A vintage Plush. It is being sold in good used vintage condition. There are no holes or stains. He measures approx. 8" tall. Tush tag is attached. It is based on weight. #31-4350 dated 1987 named. Dakin Teddy Bear. He is dress in a navy blue jacket, pants, and hat, on his hat he has a badge with the initials PD on it. There is some loss of black color material on the base of his shoes. 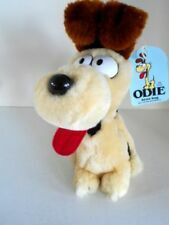 Dakin OPUS Plush Penguin Comic Strip 1982 Red Bow Tie 9"
Garfield's Girlfriend named. Dakin all tags have been removed. 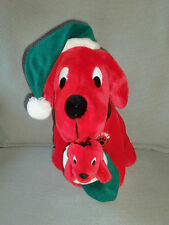 A vintage plush. It measures approx. 5" tall. Made by. It is being sold in good used condition. There are no holes or stains. #31-4350 dated 1987 named. Dakin Teddy Bear. Be sure to have a look at my other Dakin toys. A plush vintage. Officer Bear. He has his paper swing and his tush tags attached. Item #24787. Made by Dakin Applause Inc. It is in being sold in excellent used condition, just like new. There are no holes or stains. 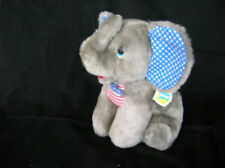 He would make a cute addition to your Dakin collection. A vintage plush Christmas Mouse. Tush tag is attached dated 1986 measures approx. He is being sold in good used vintage condition. There are no holes or stains. Made by. It is based on weight. Measures approx. 10" long x 7.5" tall. Have a look around my store for other dakin toys. A Vintage Plush. It is being sold in very good used vintage condition. There are no holes or stains. Dakin Dream Pets Ludicrous Lion Retired 2004 45915 Born 1957 #19 NEW 7"